Back in the early 1900s the breed was very popular in New York City. Today the breed can be flown or entered into shows. Flight was a long neck pigeon with long legs. "The Pigeon" by Wendell Mitchell Levi. It was about 1953 that a new standard for the flights appeared. The new breed was called the Domestic Show Flight. 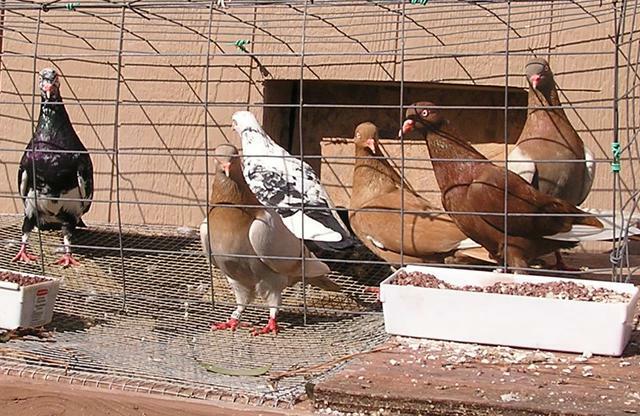 These are the pigeons that are used for pigeons wars. The breed can fly for hours or just be allowed to walk around. The pigeons were always let out hungry so the owner would have control of the birds at all times. The object of the game was to catch pigeons from your fellow fliers. Most birds were retuned for a fee. It was the bragging that was more important then keeping the bird. Today the flying flight is also used in shows. Like any pigeon all the breeder would need is a standard to be put into place.